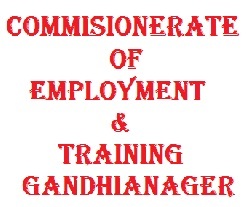 Rojgar Ane Talim Kamishnarni Kacheri Gandhinagar Foreman Instructor Class III Bharti Notification 2013. Laykat Dharavta Umedvaro Pasethi Niyat Namunaoma Online Application Mangavvama Aave Chhe. Aa Mate Candidate Ae Online Form Submit Karvanu Raheshe. Online Form ojas.guj.nic.in Site Parthi Bhari Shakashe. Website Upar Mukvama Aavel Suchna Mujab Fkt Online Apply Karvani Raheshe. Sathe Form Ma Aapeli Vigat Kalji Thi Bharvani Raheshe. Hetulakshi Qustion OMR Exam Levama Aavshe. Parantu Khatane Yogy Ane Jaruri Lagshe To Tema Jaruri Ferfar Kari Shakashe. Ane Teva Sanjogo Ni Jan Website Par Karvama Aavshe. Niche Aapel Online Apply Lin Par Click Kari Apply Online Par Click Karvu. Tema Application Formate Dekhashe. Tema Pesnol Details Bhavani Tyar Bad Educational Details Bhari Bakini Jaruri Tamam Mahti Bharya Bad Save Kari Submit Aapvu.